To say that the last few weeks have been intense would be an understatement. Everything from a nasty kidney infection, to a new job, have been on the roster and I have definitely felt a little frazzled keeping up with it all. 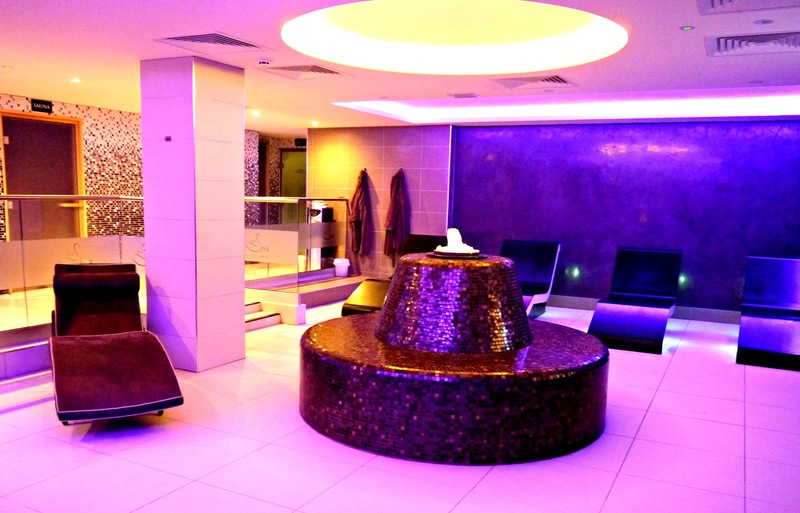 When I was very kindly invited to discover The Spa at Suites Hotel, based just outside of Liverpool, I was extremely grateful and of course, jumped at the opportunity. When I arrived, I was welcomed by the lovely host Sue who offered me a detox water before showing me around all of the facilities. The Spa has achieved an award winning '5 bubble spa' rating which is the equivalent of a 5-star hotel in the spa world and the luxury setting really does shine through. The facilities include a thermal suite for a heat and ice journey, a double Rasul chamber and a relaxation suite which really is a sanctuary in itself. There is also a nail suite for mani's and pedi's which can be booked as individual treatments. Whilst at The Spa, I also had access to the gym and pool area which is pretty cool too, especially if you are making a day of it. 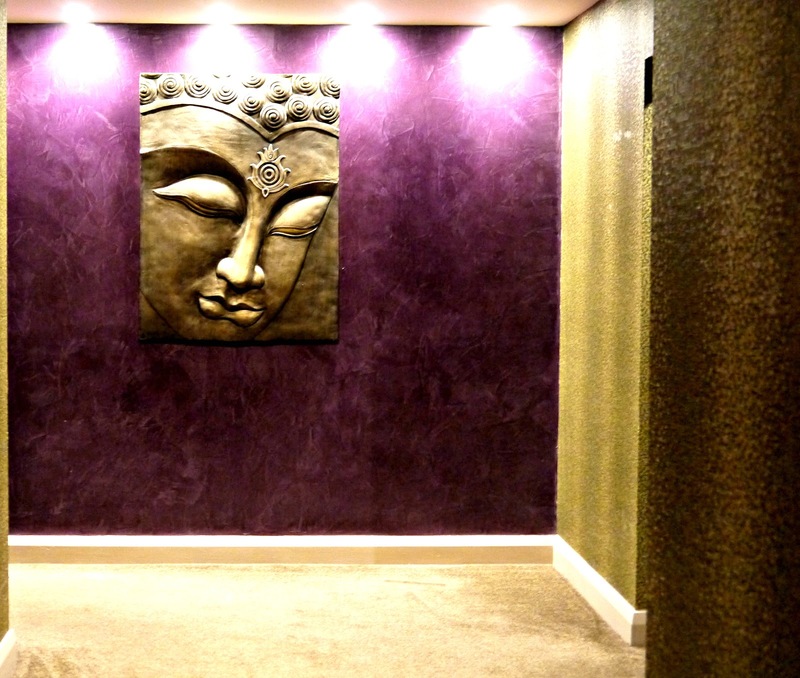 I really like the serenity of the dark decor which calls upon a purple and gold colour palette - both my favourite colours. The Spa is filled with the sound of relaxing piano music for extra ambience. Once I had been given my tour, I was invited to change into a robe and flip-flops which I layered over a swimsuit. There are 7 single and 1 double treatment room at The Spa and each is named after a gem or jewel, I was in the Crystal Suite which you can see below. The Spa uses Declor and Carita products and there are many different spa packages and bespoke treatments to choose from - I was booked in for the Suites Seventh Heaven* treatment. For £69, the treatment lasts 1hr 25 mins and involves a body brush, prescriptive tea tree and willow leaf peel off mask, coconut oil scalp massage, mini facial, and body moisturiser. Also included in the brochure is a peppermint foot ritual which I didn't receive. I am not sure if this is because I had a broken toe or not, though it is worth mentioning that my facial treatment seemed to feel like it was extended, which may or may not have made up for that. Believe it or not, I've never had a spa treatment before, and I must say that at first, I did feel quite self-conscious. I think the most uneasy part for me was when the therapist leaves the room for you to de-robe and you're face down on the treatment bed covered in just a towel. It's kind of like: "soooooo then" I think this is due to my own insecurities though and my therapist Aimee was welcoming to set me at ease. It took around 15 minutes for this feeling to wear off and once it did, my favourite part of the treatment was the scalp massage. I was really impressed with how glowy my face looked post treatment also, as well as the rest of my body which felt really nourished and supple. It was a really blissful treatment. I didn't spend too much time in the thermal suite, but just enough to have a little nosey at all its components. The thermal suite is compromised of both heat and ice experiences. 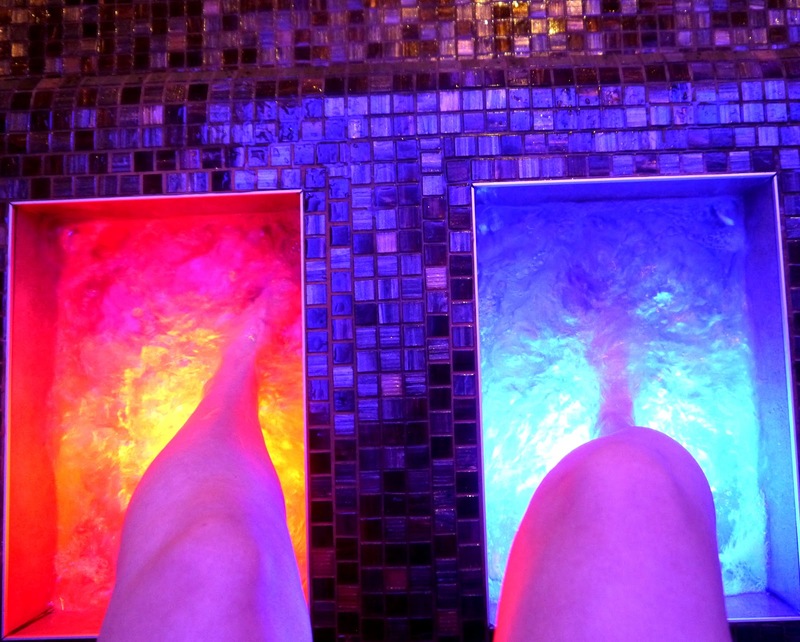 I particularly enjoyed the Sinnan Foot Baths which are pictured above, one side of the foot bath is heated and the other is cold...I really enjoyed switching between the two which is supposed to help with circulation. 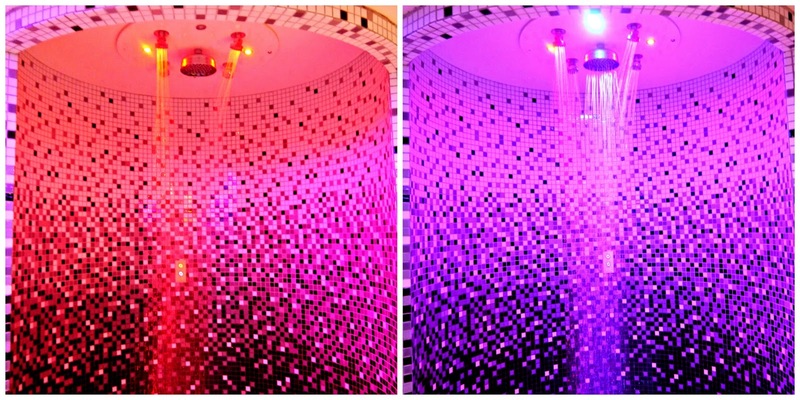 There is also an ice room for toning and refreshing, as well as rainforest shower which alternates between warm and cool water. A sauna, a Himalayan steam room and heated loungers complete the suite which is very clean and well presented. 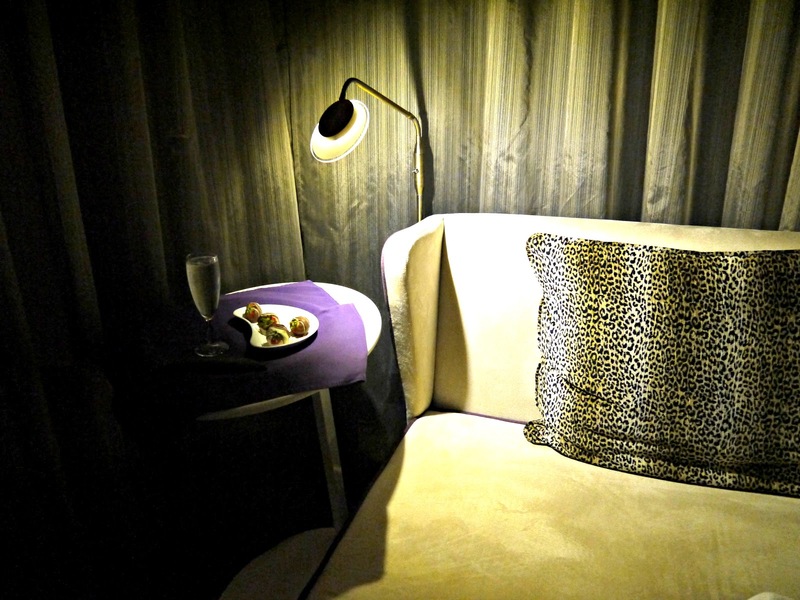 My favourite part of the spa had to be the relaxation suite, which I was must say was pretty hard to photograph as it is so dark and tranquil. These pictures don't do it justice, but this calm space is made up of chairs and days beds as well as a refreshment area serving herbal tea, coffee, water, Prosecco and more. I was treated to some moreish chocolate covered strawberries which were deliciously cold and juicy, as well as a glass of bubbles. It was pure bliss as I sank back into the bed and read a stack of my favourite magazines. I had a wonderful experience at The Spa and would highly recommend you checked out their website for the various packages and treatment offerings which are excellent value for money. The staff are very friendly and attentive and the facilities are lovely, I hope just how luxe it comes across for you on the photos. What is your favourite spa treament?